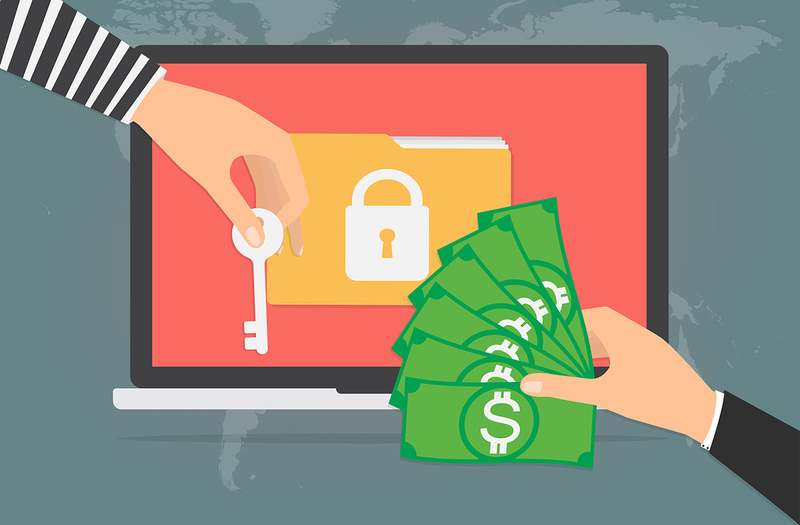 With the popularity of the "WannaCry" ransomware bug that went around in early 2017, most folks are pretty familiar with the term Ransomware (aka an extortion virus). If you are not familiar with term, essentially a Ransomware virus is bug that usually gets into a system through an infected attachment via a fake Email. Once the email is opened, the virus activates and immediately starts to seek out and encrypt Word Documents, Excel Spreadsheets, Pictures, Music; anything it can get it's hands on. It is a VERY destructive type of attack and if not prepared, you could loose all of the precious data that is stored on your computer and connected to your computer! So what is Data Encryption? Data encryption is a way to lock a file, or any type of data on a hard drive, very securely. Encryption essentially locks a file with a nearly unbreakable secret password, key, etc. Once a file has been "locked" or encrypted, you need have to have the secret key or password to be able unlock and access file(s) again. The key or password is what enables you to decrypt, or "unlock" the file, and have access to all your stuff again; pictures, documents, music, etc. So what the scammers are trying to achieve with deploying Ransomware is to lock your data up and then extort money from you to get your data back. Essentially make you pay a ransom to get your data unlocked and accessible again. What can you do to protect yourself from Ransomware attacks? BACKUP YOUR DATA: Back up your files remotely every day, but only on a hard drive that is not connected to the internet. So long as you back up files on an external hard drive, you won’t lose any information if hit by a ransomware attack. NEVER OPEN A SUSPICIOUS EMAIL ATTACHMENT: And never download an app that you haven’t verified with an actual store. Read reviews before installing programs. SCAN ALL DOWNLOADS: Some antivirus programs have the ability to scan files to see if they might contain ransomware. Make use of them before downloading any questionable attachments from email or software from the internet. What do you do if you have already gotten infected with Ransomware? If your computer has been attacked by ransomware, you can explore the free ransomware response kit (from ZDNet) for a suite of tools that can help with a ransomware attack. Remove the infected machines from the network, so the ransomware does not use the machine to spread throughout your network!! VERY IMPORTANT!! Decide whether or not to restore from available backups, try to decrypt the encrypted data, or pay the ransom and take it as a lesson learned. If the none of the available decryption tools work (or a decryption tool is not available for your specific type or Ransomware) data recovery could be a last resort option. There have been cases where when the Ransomware virus attacks and the data encryption first occurs, the original file is actually copied and then deleted, and the copied file is what gets's encrypted! So we can try to recover those original files! 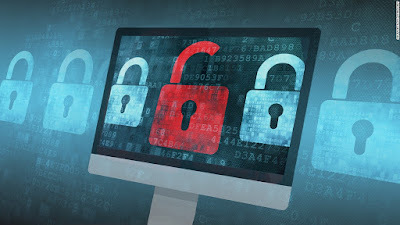 If you have been hit by a Ransomware virus, you need Ransomware Data Recovery, or you are interested in getting some systems in place to be prepared and protected in the case of a Ransomware attack, feel free to reach out to us! The now infamous "WannaCry" ransom-ware virus has been making headlines and scaring a lot of computer users around the world. It is one of the quickest spreading Ransom-ware bugs that has been released to date, but Ransom-ware viruses are not anything new. Ransom-ware viruses are a type of virus that infect computers, and then prevent the user from accessing the operating system, or encrypting all the data stored on the computer. Then the user is asked to pay a fixed amount of money as ransom to unlock their files, allowing them to regain access to the operating system and their data again. What sets this virus apart is how quickly and widely it has spread. Be careful to NOT click on harmful links in your emails! Even with security software installed, if you open/download an attachment from a malicious email it can and will infect a computer and network! If you get an email from someone, look at the email address/email header and make sure it's from who it says it is. Be aware of fraudulent e-mail messages that use names similar to popular services such as PayPal instead of PayPal or use popular service names without commas or excessive characters. Always make have the latest update for your Antivirus; Let me know if there are any update issues! Make sure your windows have the latest updates to close the gap! If windows has reported that updates are pending/available; download and install immediately!! Make a recovery disk! The WannaCry ransomware asks for $300 or more if you a modified version if you do not pay the creators (in Bitcoin to its untraceable and not refundable) encrypt all of your files on the computer. If your computer gets infected take it off of your network immediately! The ransomware will spread to other computers on the network! You can restore from a backup. If you would like our assistance with ANY of the procedures above or would like us to secure your computer and/or network to the best of it's ability, let us know and we can schedule an onsite or remote session for you!! Security & Performance for your PC!! I get asked all the time, “Jon, what do you recommend for security and performance for my computer?” So I decided to give folks a brief, and to the point, run down of what I programs and tools I use and recommend. So, core security: I typically use and install Avast Free or BitDefender Free Antivirus (MS Security if Windows 7). Then I always use (and have used for years) MalwareBytes Antimalware and Spybot Search & Destroy. MalwareBytes is a Zero-day exploit and “name brand” bug catcher King and Spybot can find a lot of stuff that normally would get left behind and can also undo damage a virus has caused to your system. But you do not want them to be running all the time, as your Antivirus is providing that protection. MBAM (MalwareBytes for short) and Spybot are just "tools in the toolbox" per say. Include them in your routine scans and cleanings but they will be your go to, if and when a virus gets around your Antivirus. But the basic "run it when you need it" free versions are all you need (unless you have computer with horsepower and speed then let em rip!). Then with the new variant of malware being “browser hi-jack” bugs, if you get hit with something like that, all those other security programs may not be able to find all of them; or even any of them at all! So that is where ADWCleaner and JRT come in to play. Both are now distributed by MalwareBytes (so that's who you will likely download them from as an FYI), they are specifically browser hi-jack clean-up tools. These tools will find, fix and remove what the other programs cant. Including website re-directions, search engine and homepage hi-jacks, removal of malicious add-ons, and much more. Then last but not least, lets keep the computer clean of junk! Class, meet CCleaner. CCleaner; class. CCleaner has been my go-to performance and clean-up tool for nearly my entire professional computer career. Junk, temp and cache files, prefetch data, DNS cache, delete free space; CCleaner can do A LOT! So to keep things clean and your computer running snappy, I highly recommend it’s installation and use!